Hey all! A few days ago I posted the first four of eight new Nicka K New York Nail Colors that I have to share with you. Today I am bringing you the final four of them! You can refer to Tuesday's Post to learn more about these polishes. Dolphin is a gorgeous and bright turquoise blue shade. It has a metallic frost finish and is opaque in two coats. You do kinda see brush strokes in this polish, and in a few of the polishes I have tried from this line so far, but I don't think they take anything away from the beauty of the colors, I rather like how they look in these instances. I love colors like this for summer! Iceberg is a perfectly fitting name for this color in my opinion. It has that icy, frosty quality and I love it. It's a really unique shade for my collection. It was a little on the sheer side so it was the only one of the 8 polishes that I got to try that needed 3 coats for opacity, but 3 really isn't that bad when the color you get is so pretty! Royal Fuchsia is a really shimmery bright fuchsia pink. The finish of this polish is amazing, as you can see in the pic. Super shiny and super bright! Only 2 coats needed for full opacity. Another great spring/summer shade! Violet is the last color I am sharing with you from the polishes I've sampled from this line. This was super hard to capture correctly, as my camera tends to hate purple shades. But I got this pic which I think is accurate and gorgeous. I love the shimmer in this color, there's definitely some hidden pink hues trying to peek out! Plus you can't beat that shine. Overall I think these new colors from NK are really nice! 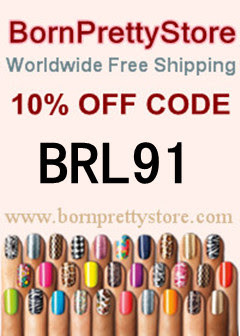 They are very high quality polishes with a very affordable ($4.99) price tag. The formula on all of the ones I tried was super easy to work with, the brush was comfortable to hold and I had no problems with the bristles at all. I highly recommend NK polishes, as so far I have tried many polishes from their different lines and haven't been let down yet. Stay tuned shortly for a post where I will announce how you can get a chance to win a set of the 8 polishes I reviewed for you this week! I like Iceberg, I wish it weren't so frosty.. but it's still pretty! Dolphin is amazing! I love it!